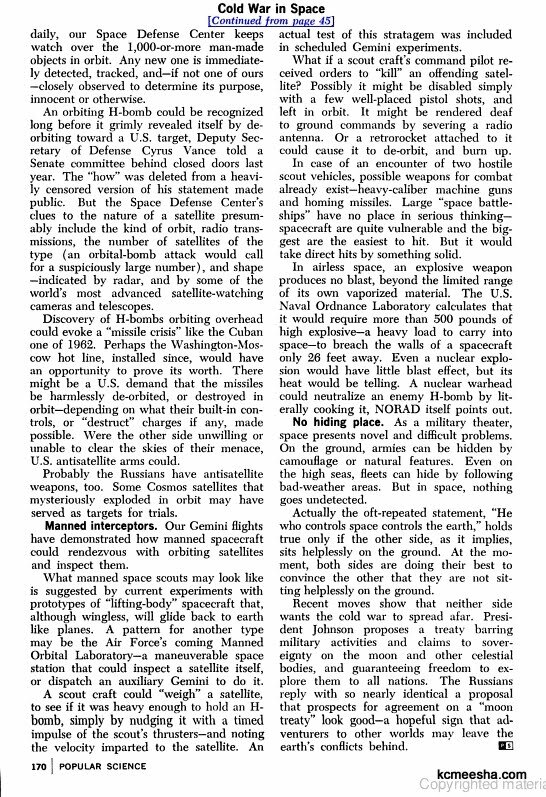 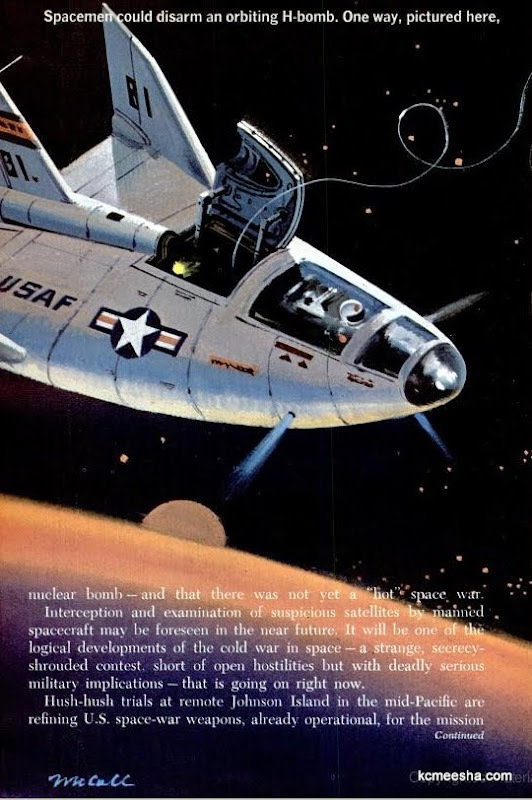 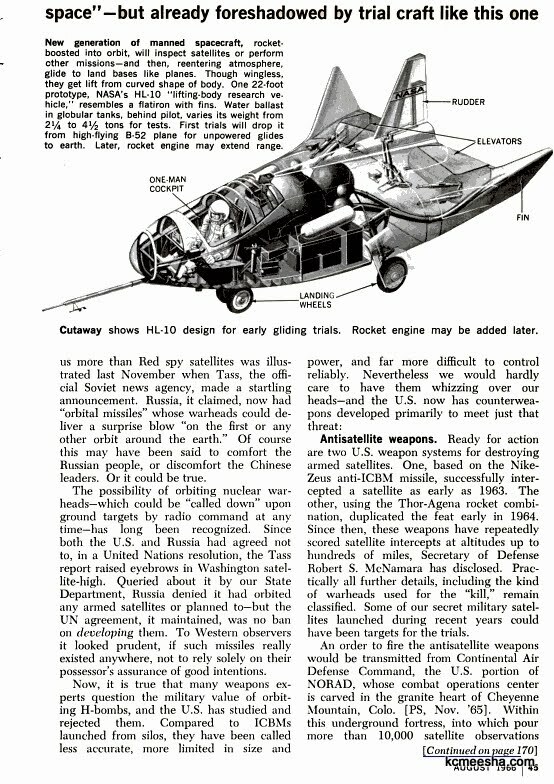 An interesting article in 1966 Popular Mechanics describes potential ways of disarming an orbiting H-Bomb. 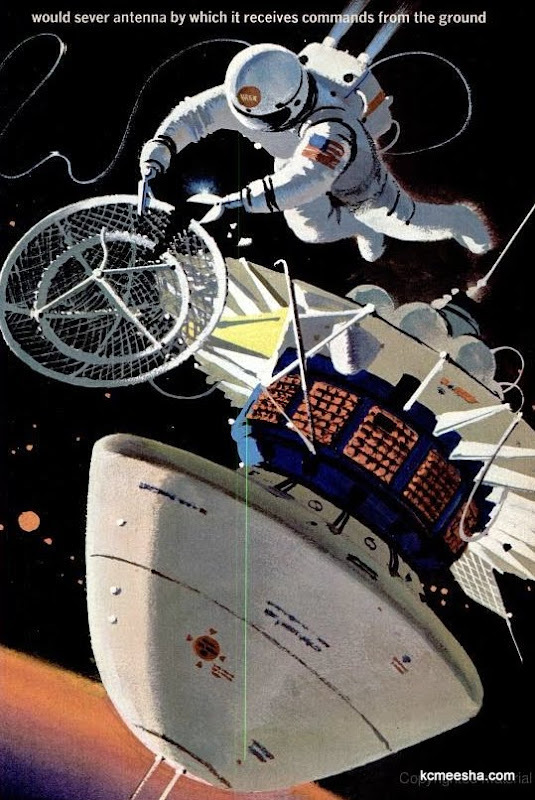 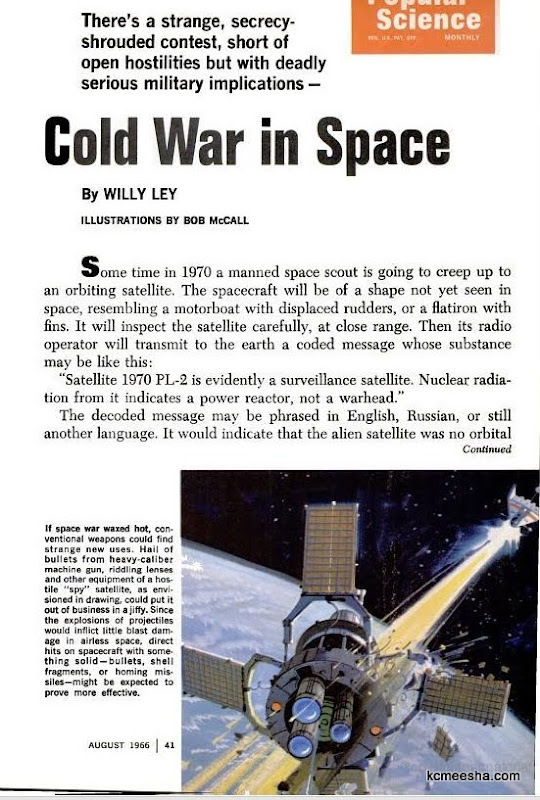 A manned spacecraft would be dispatched to the potential offending satellite and disable it by the most unimaginative of ways – cutting off its antenna. 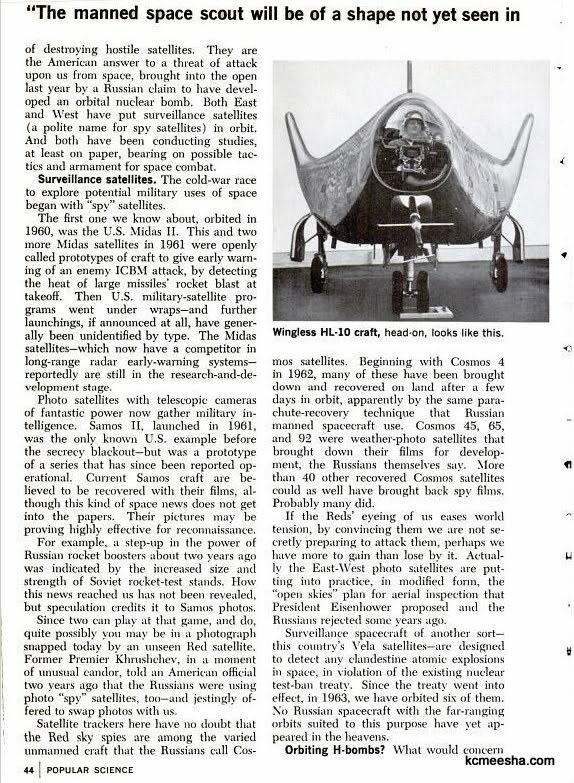 Obviously nothing like this have ever transpired (as far as we know) but the seriousness of the article makes it a nice read.